This badge was issued to DANIEL BUTROYD on 18 Jan 2017. 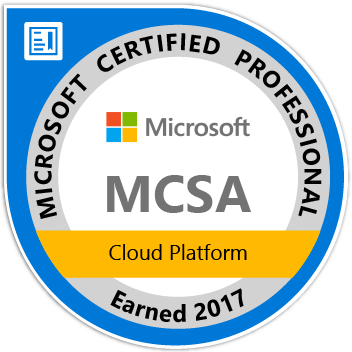 Earners of the MCSA: Cloud Platform certification have demonstrated the skills required to reduce IT costs and deliver more value for the modern business by implementing Microsoft cloud-related technologies. They are qualified for a position as a cloud administrator or architect.